God's Anointed Soldiers (G.A.S.) current project, "WAR" (Enemy vs Inner Me), is now complete and due to release June29th, 2013. With chart topping songs like "Good Enough", "It's War", "Brag on Em" and many more. This Album is bound to be a Rap/Hip Hop classic! Uptown and King Dave (G.A.S. ), spent three years pouring their hearts into this project and want to share their struggles and victories in this Spiritual battle that rages on around us, to the world. Also, featured on this project are upcoming artists: 21 Th. King, Awest, Kyler Keith, and Legacy, to name a few. 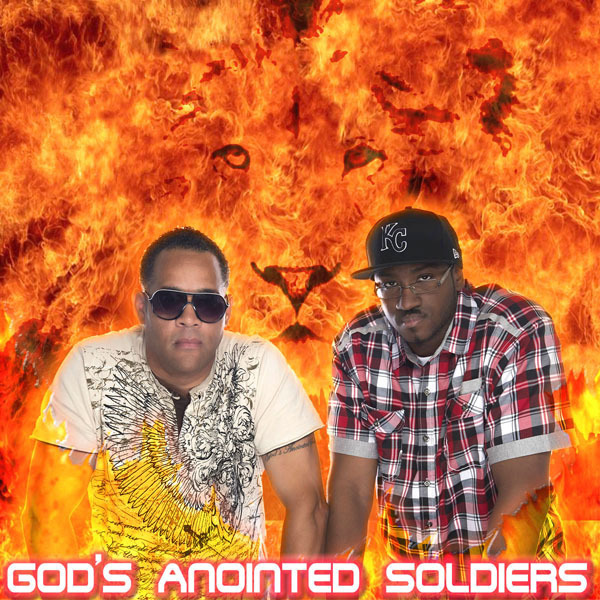 God's Anointed Soldiers sound is described as having a Mid-dirty feel with banging beats and lyrics that speak to the heart and fuel the soul. Their performances are described as powerful, entertaining and moving. God’s Anointed Soldiers have been privileged with opening up for several national acts such as Building 429, Mercy Me, Jeremy Camp, Skillet, Thisl, A Road Less Traveled, Kirk Franklin, Third Day, Seventh Day Slumber, The Museum and others. Performance venues include The Sonshine Festival, Holy Hip Hop Awards(ATL), Nehemiah Festival, Six Flags(Gurnee IL, STL MO) and more. Recently, God's Anointed Soldiers has been accepted to take part in this years Extreme Tour! They anticipate “WAR” to have not only a national but global impact on the lives of people everywhere. Want to leave a message for God's Anointed Soldiers? We'll post your comments right here!